The Color Run 2014 Added Delightful Shades of Fun to Sentosa! 18,000 runners gathered over 2 days on 30 & 31 August for a single purpose: to run the happiest & most colourful 5km of their lives. 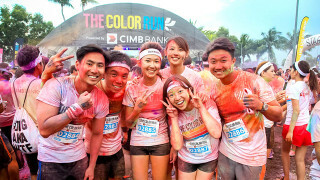 The second edition of The Color Run Singapore by CIMB Bank is here!